Although Vieweg Verlag operates mainly in Germany, the entire book is written in English. Please click here to view an image of the cover illustration. Independent reviews of the book by Dr. Dap Hartmann (in English) and Dr. Christian Donninger (in German) were published in the ICCA Journal and the periodical Computer-Schach & Spiele in March /April 2000. Excerpts from these reviews follow below. Morgan Kaufmann Publishers distribute the book in the US and worldwide in all other countries except for Austria, Germany, and Switzerland (Vieweg's home domain). As of October 2000, the book was available for online purchase from Amazon, Barnes&Noble.com, Bertelsmann Online, Booxtra, Brian's Books, Buch.de, Kaigai, Morgan Kaufmann Online, Netstore/USA.com, VarsityBooks.com, Vieweg's Internet Bookshop, and Yurinsha (among others) at the following URLs. If you encounter any ordering problems, please take a look at Morgan Kaufmann's list of international resellers and contact them or Vieweg's distribution officer Ruediger Pech directly by email. The book features a suggested retail price of 98 DM (roughly 50 US-$). I know that this is not cheap. :-( But although I sincerely intended the book to cost much less, there was no chance to hit a lower price point for a printed volume in a specialty area such as computer chess (even if I renounced all royalties). So, please do not blame me for the price. For your information, full reprints of the preface and table of contents follow below - please enjoy! 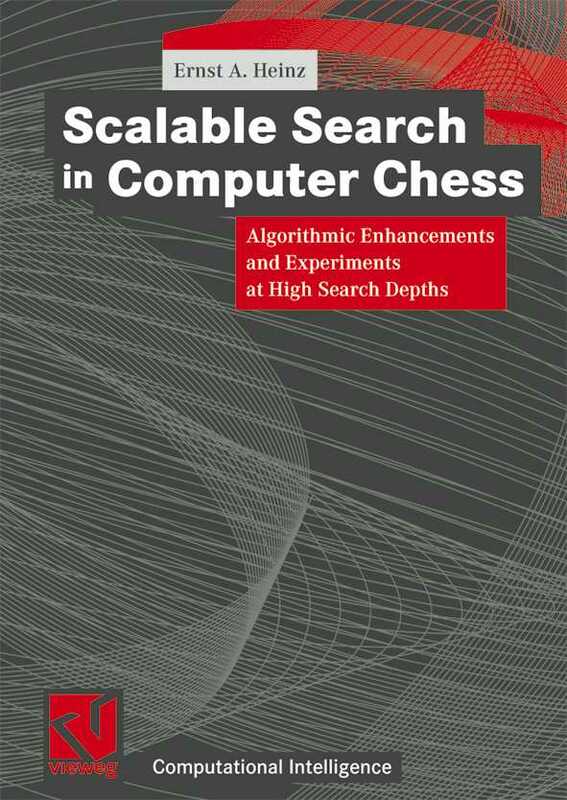 This book presents the results of our past two-and-a-half years of research aimed at increasing the scalability and performance of game-tree search in computer chess. We elaborate on our respective works in the areas of (I) selective forward pruning, (II) the efficient application of game-theoretical knowledge, and (III) the behaviour of the search at increasing depths. The broad range of topics covered by the three distinct parts of the book seek to provide exiting material for everybody interested in the field of ``Computational Intelligence'', regardless of their individual focus (researcher, student, or other). The text does not require readers to know about chess and computer game-playing beforehand. The initial chapter entitled ``Computer-Chess Primer'' introduces all the necessary basics and fundamentals thereof. The remaining chapters, however, go far beyond those topics. They show how to make sophisticated game-tree searchers still more scalable at ever higher depths. Throughout the whole book, our high-speed and master-strength chess program DARKTHOUGHT serves as a realistic test vehicle to conduct numerous experiments at unprecedented search depths. The extensive experimental evaluations provide convincing empirical evidence for the practical usefulness of the techniques presented by us. These results will certainly be of special interest to researchers and programmers of computer strategy-games alike (chess, checkers, Go, and Othello in particular). Last but not least, I like to mention that I am most grateful to the series editors for offering me the opportunity to publish my book under their auspices.